there is always an opportunity to go out and draw something! were I do a lot of walking , birdwatching, and drawing. 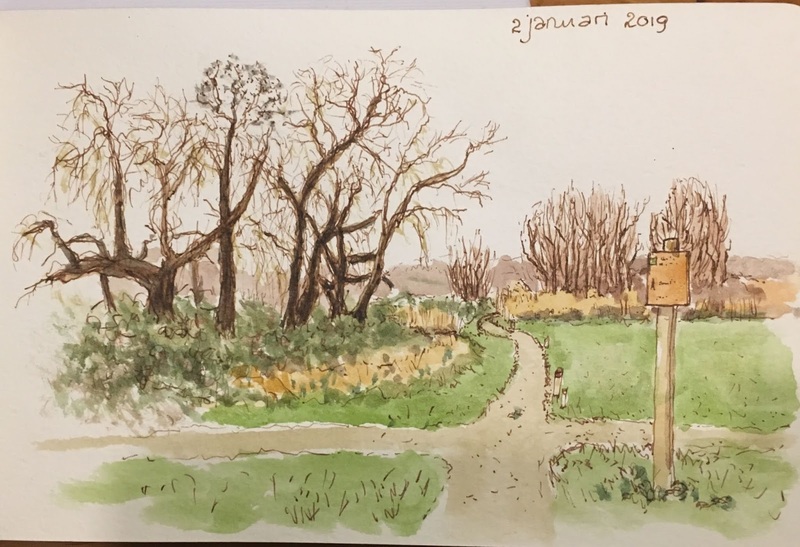 The next drawing was made at the Waalbos too. It's made with brown ink, brush and a reed-pen . 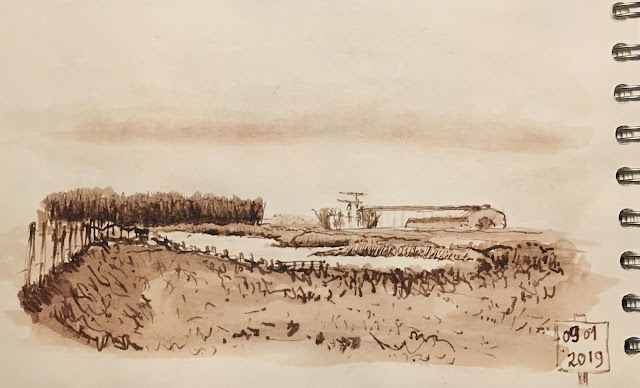 The last drawing in this post was done in the Crezee-polder ,a new reserve. It was so utterly cold that I stayed in the car to draw. Used reed-pen , brush and brown ink again. It was May since I last posted on my blog. Did I mention I was bizzy drawing ? Well, to catch up we will make a time leap to August. 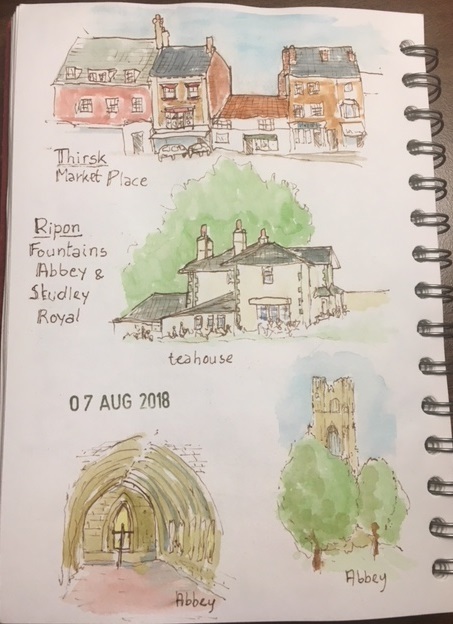 I was then on holiday in England. A guided bus tour through the Lake distrikt and Yorkshire. It involved a lot of travelling and tight time schedules so it was hard to find some drawing time. On the first of September there was a national sketch day in Rotterdam! 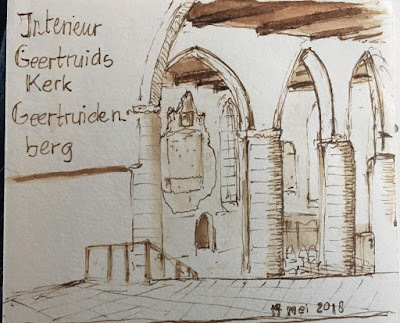 Organized by the Urban Sketchers Netherlands and Rotterdam. I made a few drawings but the one I want to share here is of the White House. Built in 1898 and has been for years the highest office building in Europe. 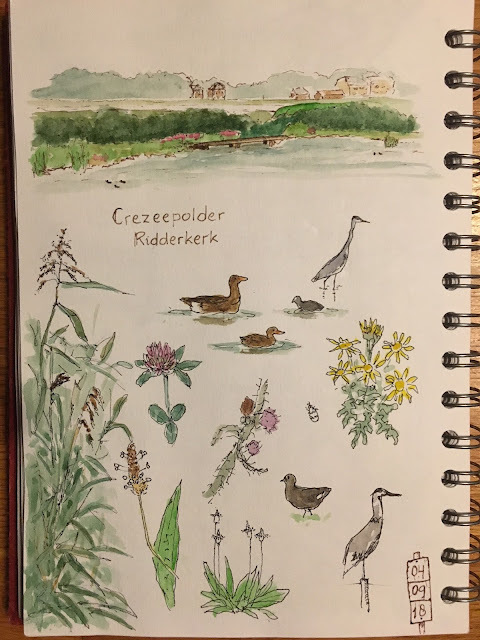 Some nature drawing was done too ! 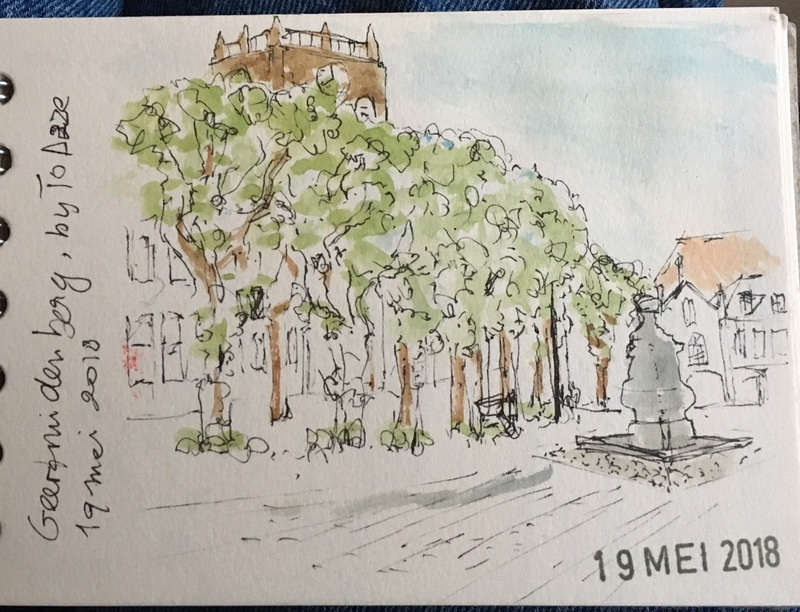 Last week I attended a sketchcrawl in Geertruidenberg , a very small town with a nice centre with old houses. I started with a coffee at a terrace at the market-square from where I had a nice view on the old trees around the square and the top of the tower of the old church just visible above the trees. While drawing this I had no idea that some time later I would be on top of the tower, making my second drawing of the day ! The organizer of this sketch session had arranged that we could visit the Geertruids-church. The verger welcomed us kindly and gave us a guided tour . And took us up the tower. From were we had a stunning view. and then .....the giant chimney of the powerplant . Dominating the horizon. At first I thought not to draw it, but this was an urban sketchers trip, we draw what we see. 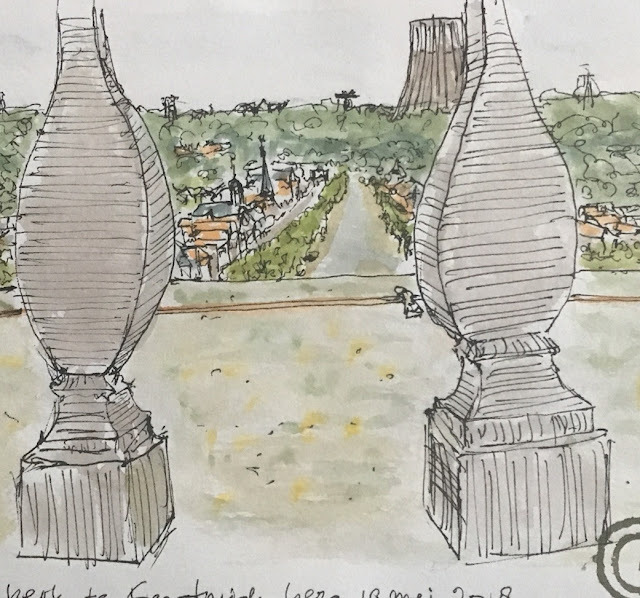 There was a nice old ballustrade to keep us from falling down, so I drew some of the pillars too. As happens with old churches , during the ages , there were parts destroid, rebuilt, things build but never finished, parts added and taken away. So this building has a rich history. The last drawing I made in the church , a small one. Well most of my drawings are small, but this one is really small.